EXCLUSIVE: Neeya 2 Release Details Are Here! 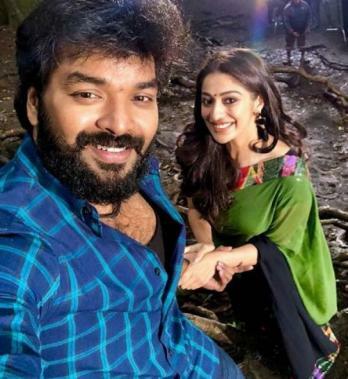 Neeya 2 starring Jai, Raai Laxmi, Varalakshmi Sarathkumar and Catherine Tresa in the lead roles is an upcoming horror movie directed by L Suresh. Story, screenplay, and dialogues are also done by L Suresh. The music is composed by Shabir. The team has been releasing posters from the movie and had released a single from the movie on Wednesday. And now, sources close to us have revealed that the team planning to release the venture in the month of December. An official announcement on the same is expected to be made soon. December is already a packed month with big releases like Dhanush's Maari 2, Karthi's Dev, Jayam Ravi's Adanga Maru and many more. It is going to be an interesting battle at the theaters in December. >>Neeya 2 official trailer is here!